Century Village at Deerfield Beach is a 55+ community located in Broward County, Florida. This community consists of 8,508 condo units available on a resale-only basis. Residents of the community enjoy a low-maintenance lifestyle with great resort-style amenities. Broward County offers endless opportunities for entertainment and recreation. Homeowners do not have to travel far outside of the community to find great shopping, dining, or medical services. Century Village provides its residents with excellent resort-style amenities. With two clubhouses in the community there are endless options of recreational and social activities. The main clubhouse at Century Village is the focal point of the community. This 145,000 square-foot clubhouse has a fitness center, indoor pool, aerobics studio, sauna, cafe, card and game rooms, an arts and crafts room, and much more. Performances often take place in the theater with a capacity of 1,600 people. Neighbors and friends get together in the ballroom for holiday and themed parties. Outside the clubhouse the amenities continue with a pool and sundeck perfect for hot summer days. Residents with a competitive side can utilize the four tennis courts, two bocce ball courts, or 24 shuffleboard courts. Le Club is the secondary clubhouse located at the west end of Century Village. This smaller clubhouse has a multi-purpose room and catering kitchen. Outside there are also four tennis courts and a pool. This clubhouse is mainly used for community meetings and can also be rented out by residents for private parties. Along with two clubhouses and an 18-holf golf course, Century Village also has fifteen satellite pools and nine tennis courts spread across the community ensuring residents are never too far from any of the great amenities. Century Village at Deerfield Beach was built between 1970 and 1995 and consists of 8,508 condo units. Condo units range in size from 650 to almost 1,100 square feet of living space with one or two bedrooms, one to two bathrooms, and parking lot spaces. These units are spread across numerous secured buildings with two to four floors. With open floor plans, master bathrooms, and scenic golf course or water views, these condos are perfect for the active adult homebuyer. Active adults of Century Village enjoy a low-maintenance lifestyle amongst resort-style amenities. An annual homeowners' association fee covers general maintenance of the community grounds and amenities, as well as exterior maintenance and trash removal. This relaxed lifestyle allows homeowners to enjoy their friends and neighbors and explore various hobbies. Countless clubs and activity groups are available inside the community to residents such as card clubs, book clubs, tennis clubs, and theater groups. Outside activities are also planned such as multiple day excursions with the travel club, or dinner trips to local eateries. Century Village at Deerfield Beach is located in scenic Broward County, Florida. Situated between I-95 and the Florida Turnpike, residents have no trouble traveling to other parts of Florida such as Palm Beach County or Fort Lauderdale. Surrounded by excellent shopping, dining, and entertainment, residents never have to travel far for everyday conveniences or attractions. With a close proximity to the Atlantic Coast, residents often plan day trips to the many white sand beaches up and down the coast. Low-maintenance homes, resort-style amenities, and a scenic location makes Century Village at Deerfield Beach a must see for Florida active adults. The main clubhouse is where residents can come to enjoy great resort-style amenities. Clubhouse - 145,000 Sq. Ft. Le Club is a secondary clubhouse available to residents of Century Village. This clubhouse is mainly used for social gatherings and can be rented out for private parties. Century Village offers residents many satellite amenities spread across the community. There are plenty of activities available in Century Village at Deerfield Beach. Here is a sample of some of the clubs, activities and classes offered here. Condo units range in size from 650 to almost 1,100 square feet of living space with one or two bedrooms, one to two bathrooms and parking lot spaces. These units are spread across numerous secured buildings with two to four floors. With open floor plans, master bathrooms and scenic golf course or water views, these condos are perfect for the active adult homebuyer. Love it here. There is so much to do. The clubhouse is huge. It is a very well kept community. The internal buses take you to multiple places. It's possible to not have a car here and still get around. It's an older community but is slowly becoming a much younger crowd. The condos are very affordable, and I have seen some very beautifully renovated ones. Tons of activities, three miles from the beach, affordable, convenient to lots of shopping, this community community can't be beat. The bus takes you to just steps to the beach. The city bus comes right in the community. I'm very happy to have bought here. An older community, but nice. I like the clubhouse, and although the homes are dated, they are affordable. 55places.com is not affiliated with the developer(s) or homeowners association of Century Village at Deerfield Beach. The information you submit is distributed to a 55places.com Partner Agent, who is a licensed real estate agent. 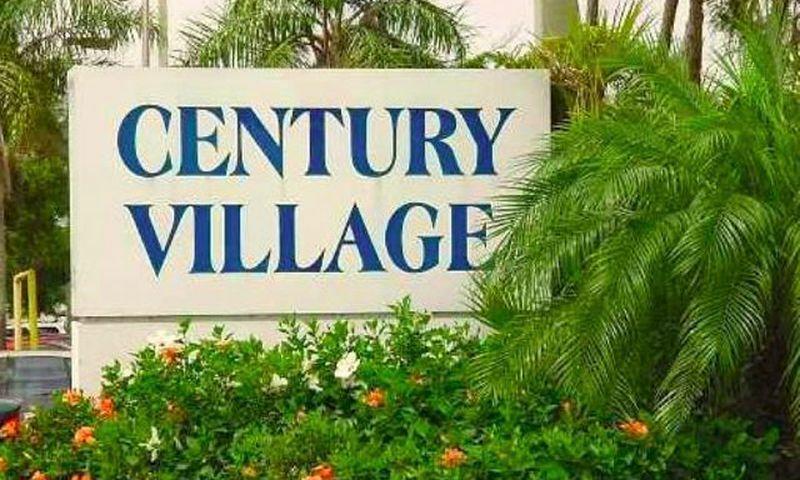 The information regarding Century Village at Deerfield Beach has not been verified or approved by the developer or homeowners association. Please verify all information prior to purchasing. 55places.com is not responsible for any errors regarding the information displayed on this website.